Antriksh Urban Greek in L Zone, Delhi Dwarka by The Antriksh Group is a residential project. The size of the Apartment ranges in between 900.0 sq.ft. and 2750.0 sq.ft. Antriksh Urban Greek price ranges from 34.20 Lacs to 1.24 Cr. Antriksh Urban Greek offers facilities such as Gymnasium and Lift. It also has amenities like Swimming pool, Badminton court, Basketball court, Jogging track, Lawn tennis court and Golf course. Bank loan approved from HDFC home loans, ICICI, State Bank of India, Corporation Bank, IDBI Bank Ltd., AXIS Bank LTD. and Dewan Housing Finance Corporation Limited (DHFL). The project is spread over a total area of 16 acres of land. Antriksh Urban Greek has a total of 6 towers. The construction is of 26 floors. An accommodation of 600 units has been provided. Antriksh Urban Greek brochure is also available for easy reference. Backed by strong infrastructure and job creations, the real estate of Delhi/NCR is moving up. With increasing investments from builders in regions like Noida, Greater Noida, Gurgaon and Faridabad, the increasing demands are being catered to affecting the realty market positively. Additionally, other factors contributing to this positivity are the metro smoothening connectivity between different parts of the city and a number of expressways and flyovers letting you skip the traffic. The positivity in the job market leading to migration of working professionals from around the country to the city also contributes to a positivity in the job market. What is the project location?The project is located at L Zone, Delhi Dwarka. What size of flats are available in Antriksh Urban Greek? The apartment sizes in the project vary from 900.0 sqft to 2750.0 sqft. 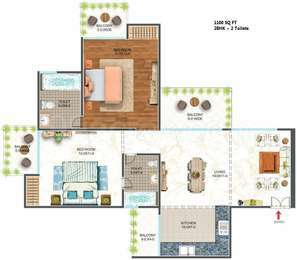 How much is area of 2bhk in Antriksh Urban Greek? Two-room units (2BHK) in the project are available in an area of 900.0 sqft to 1100.0 sqft. What is the area of 3 bhk in Antriksh Urban Greek? 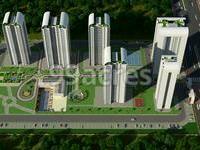 Three-room units (3BHK) in the project are available in an area of 1300.0 sqft to 2250.0 sqft. 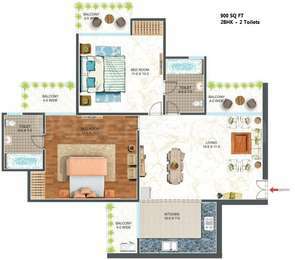 What is total area of 4 bhk in Antriksh Urban Greek? 4 BHK units in the project are available in a size of 2500.0 sqft to 2750.0 sqft. What is the total area of Antriksh Urban Greek?The project spans across 16.0 Acres. if u have any updates please send on @. Mr. Sharma, you have to check whether this project is registered under RERA or not. If it is registered under RERA then you may visit the RERA office to file a complaint against the developer. If this project is not registered under RERA then also you may take a legal action against the developer and get a right solution of your problem. I have invested in a 2 bedroom apartment in Antriksh Urban Greek with a view of getting a good return on investment. The property currently is on hold waiting for DDA approval. Can you please let me know if it is a good investment to hold onto? @Jyotisman, I agree with Mr. Rajesh Ahuja. As per some brokers, some approvals on L Zone are still pending with the government and it will be difficult to say if the land on which the project is being constructed still comes in L Zone after getting all approvals. As I read on 99acres.com that possession of this project will be handed over by December 2021 which is five years from now. Because of pending approvals and decision by the government to ban Rs 500 and 1000 currency notes, there will be a liquidity crunch in the market in the short term which may lead to incessant delays in the completion of the project. It will be right to sell off your property now, in case you are getting a buyer. However, if not, it is best to wait for another year at least for prices to firm up in the future.